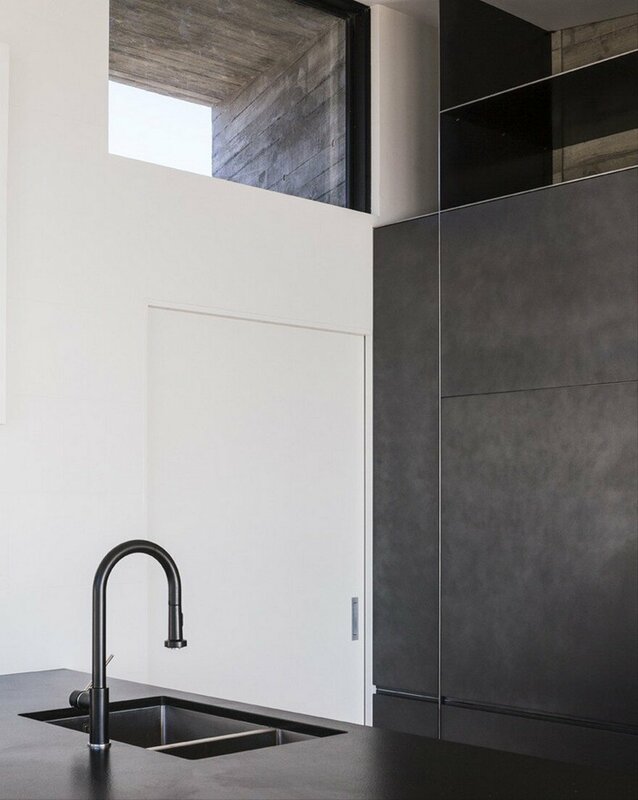 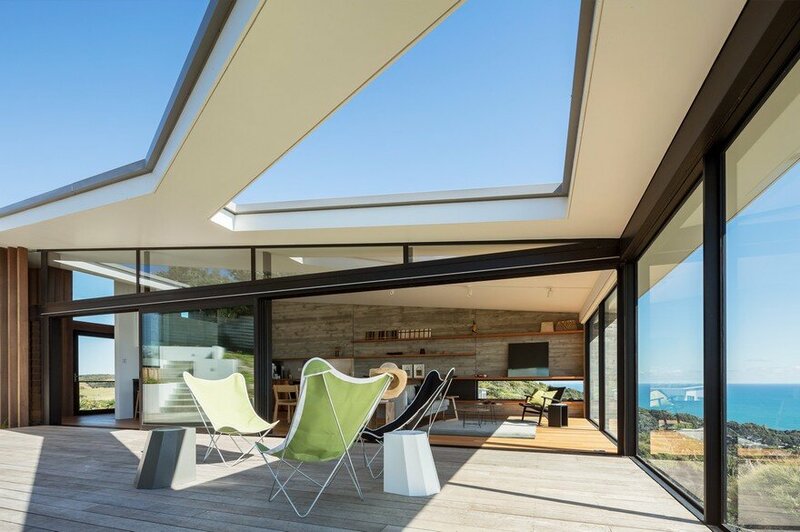 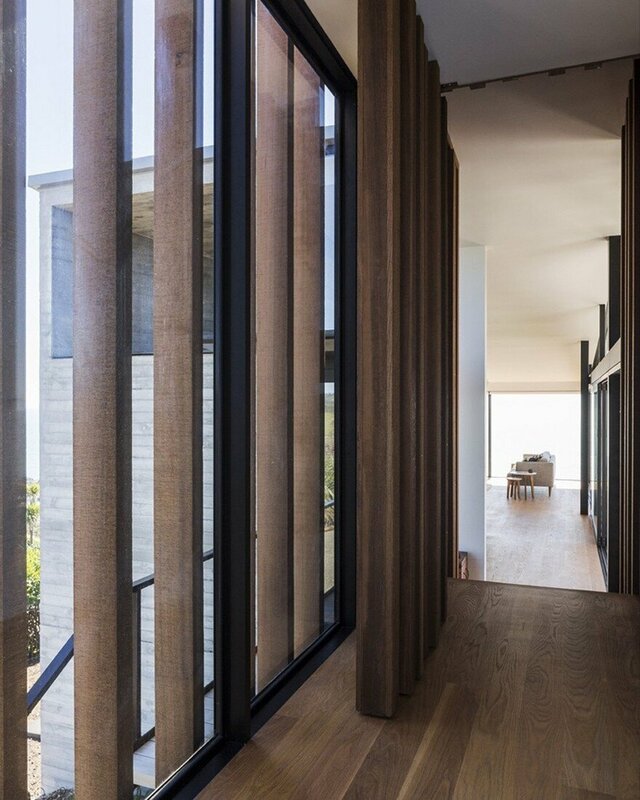 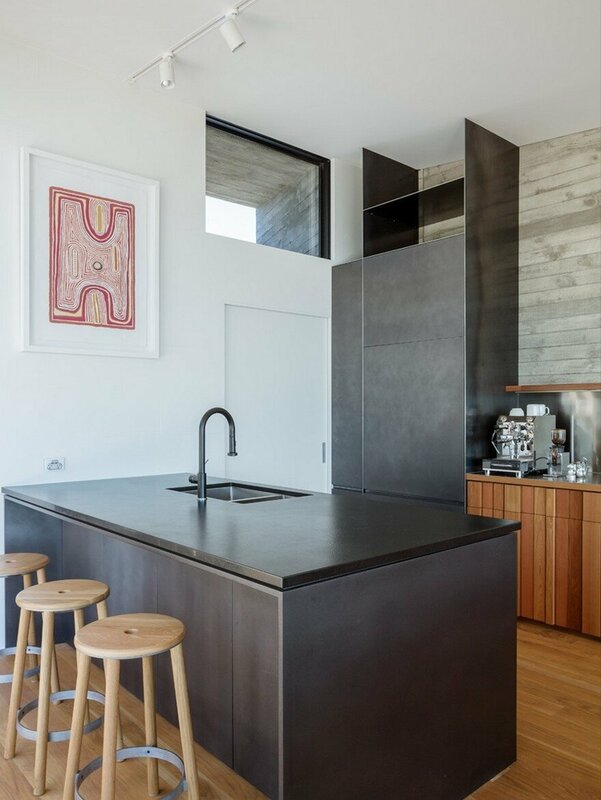 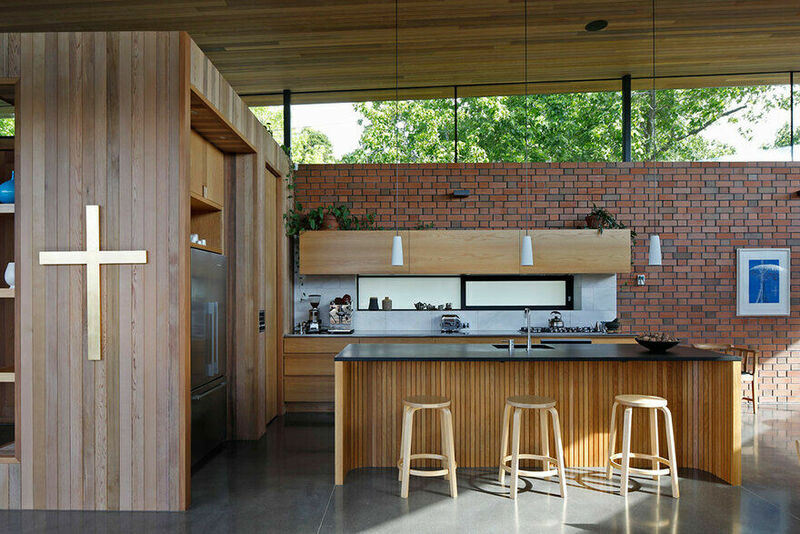 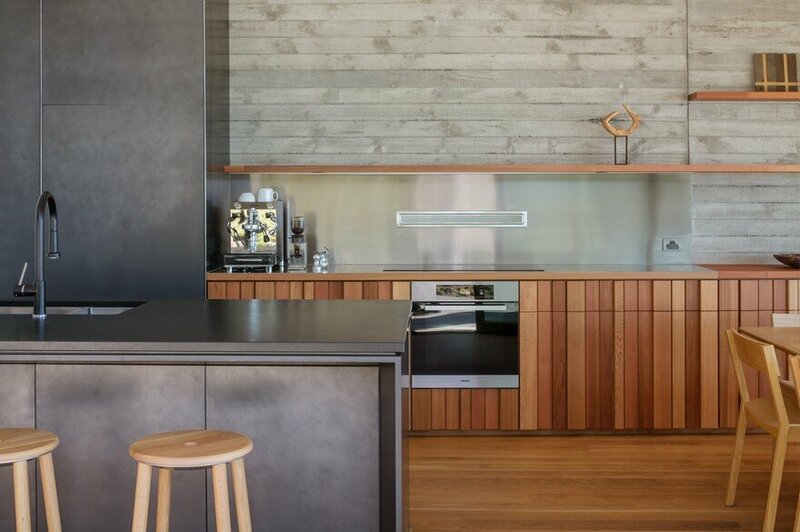 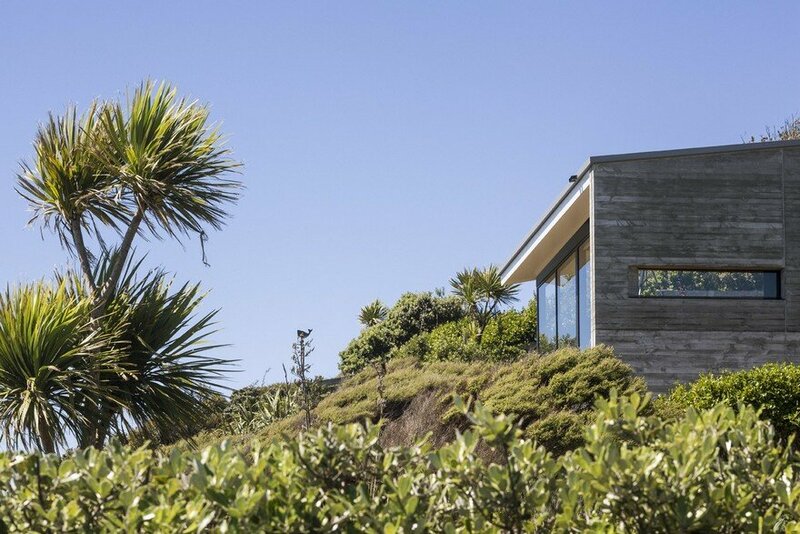 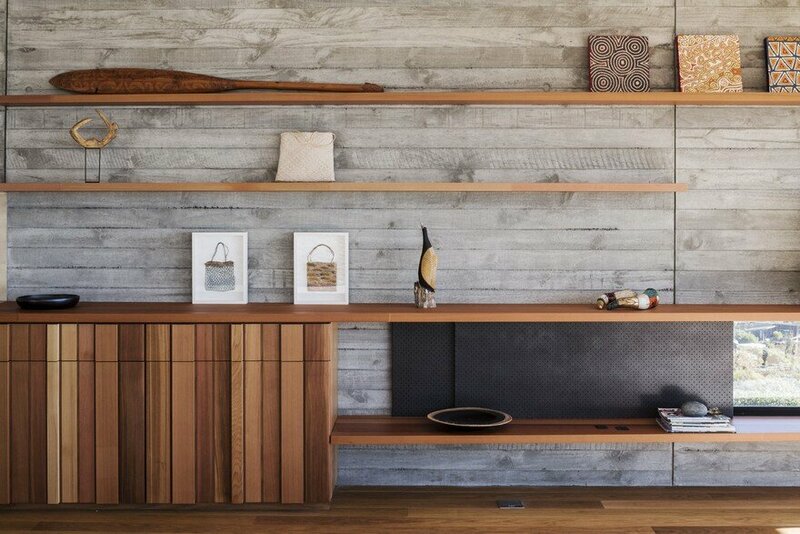 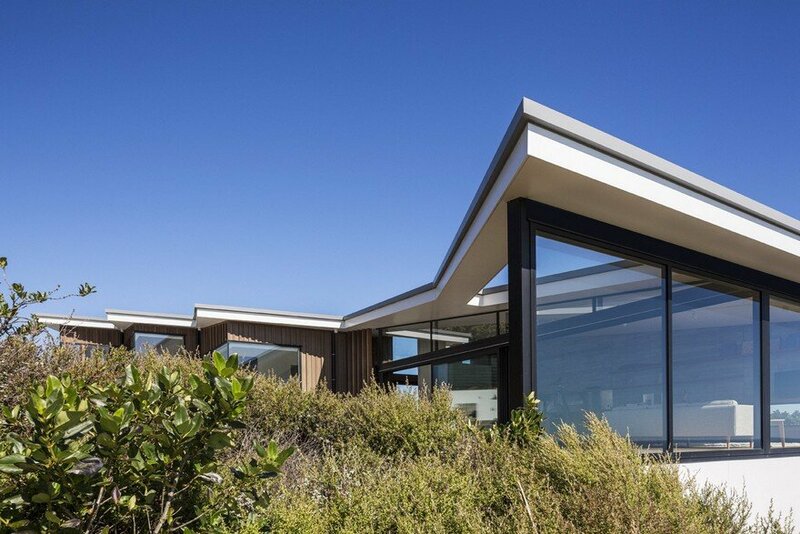 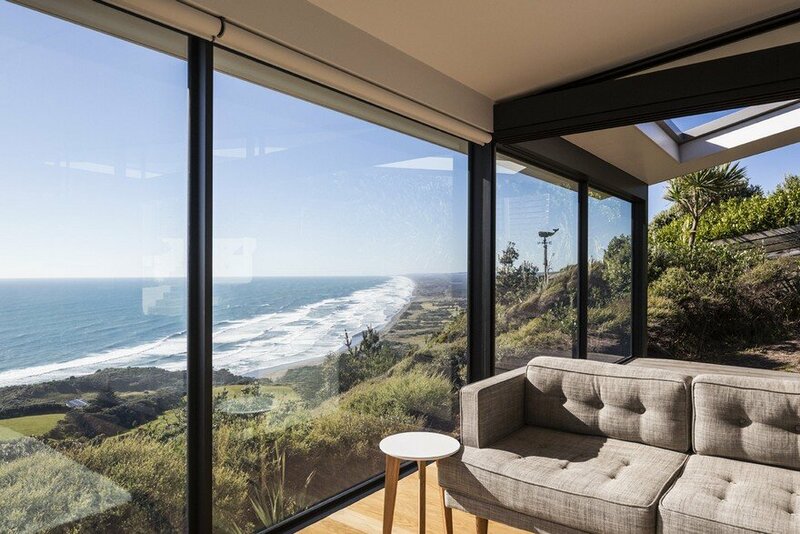 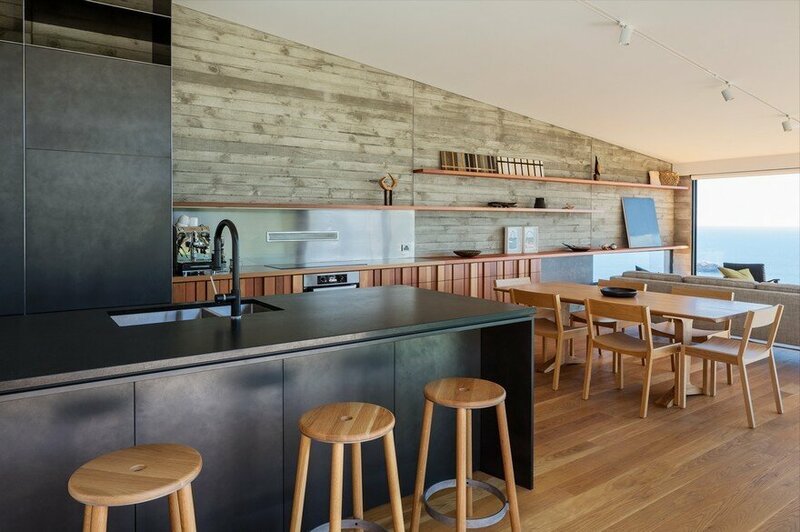 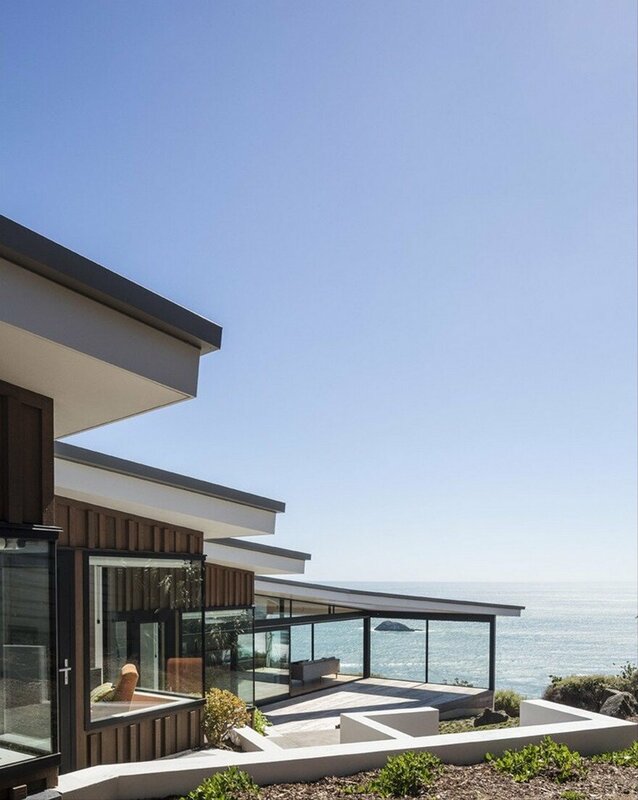 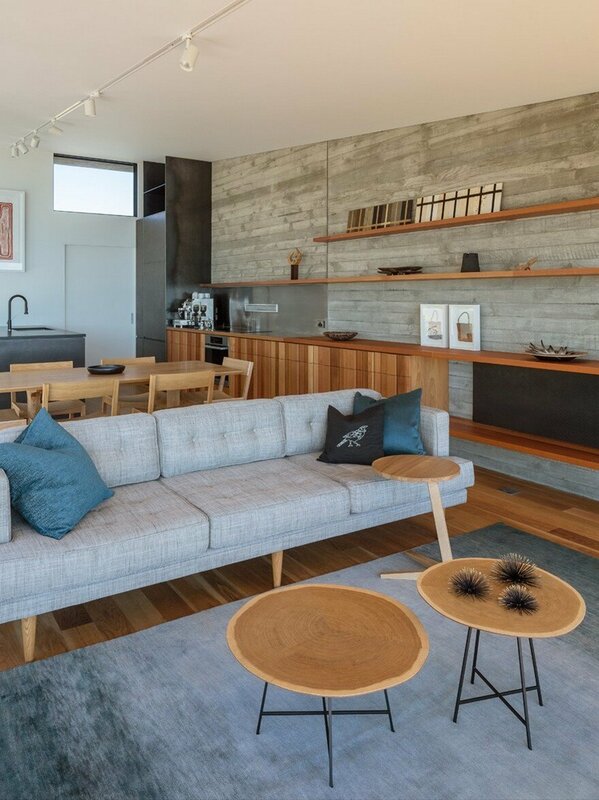 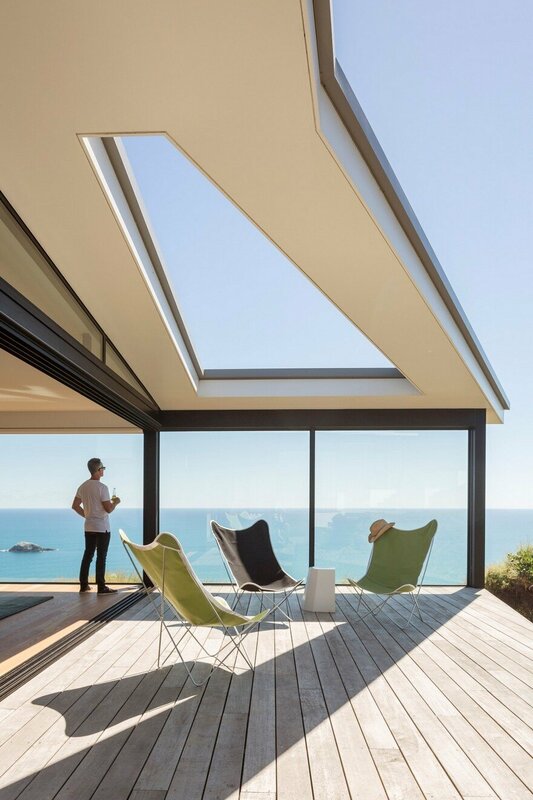 The Muriwai house is a weekend house used by a couple throughout the year as an escape from their urban working lives, located on a steep site perched above the ocean and Muriwai beach. 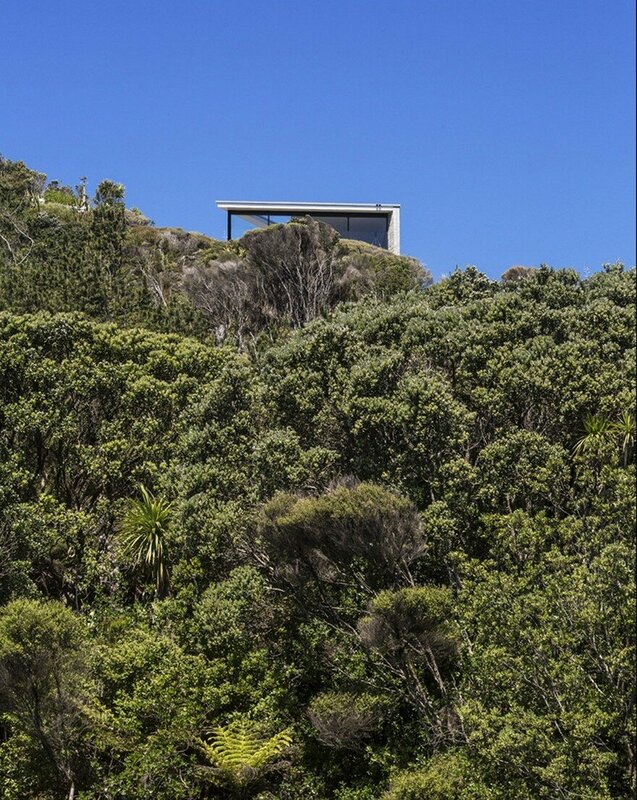 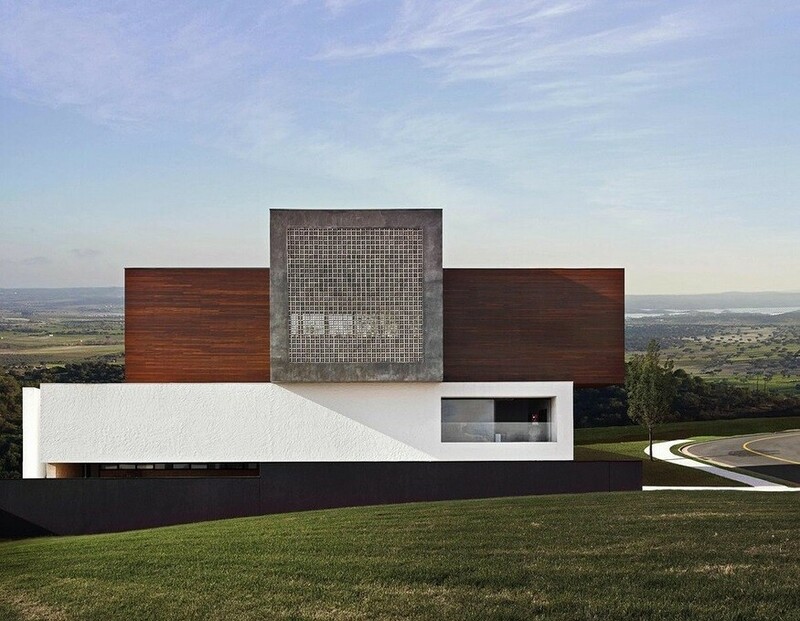 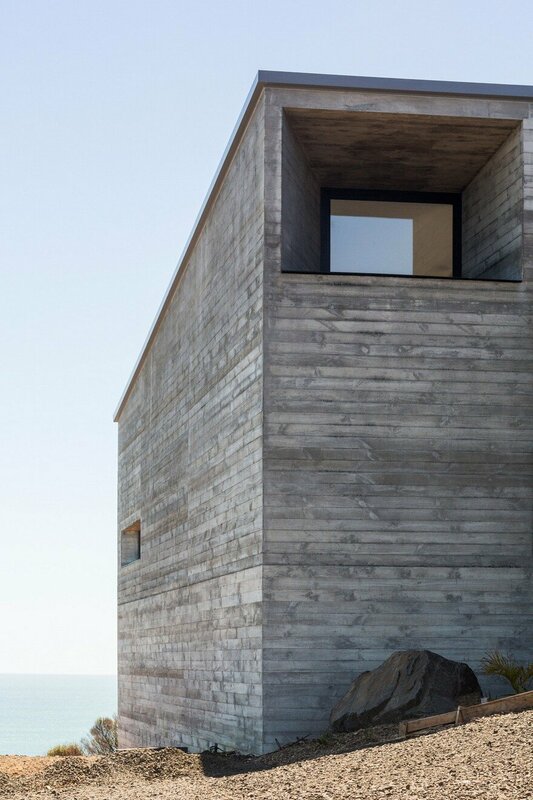 The house is placed at the cliff edge to capture the dramatic views. 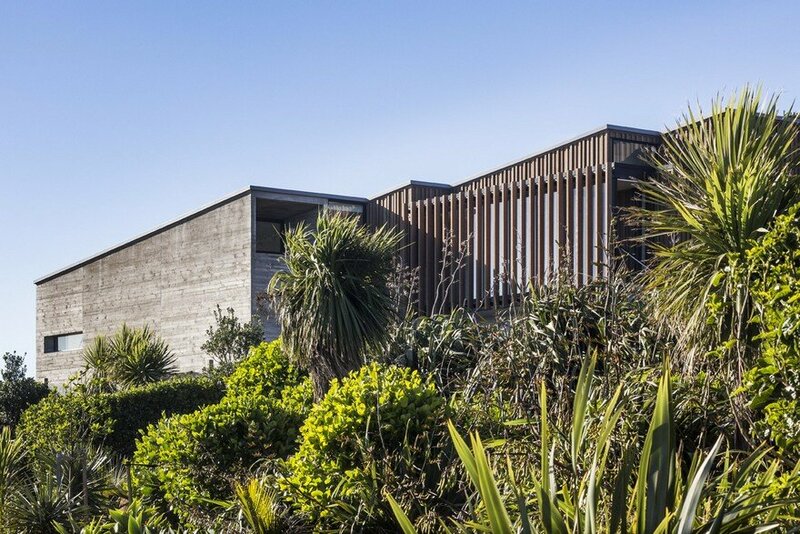 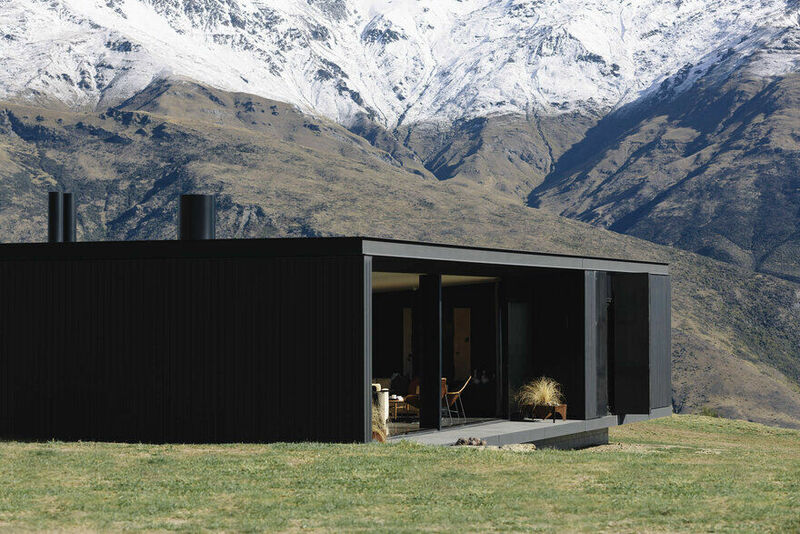 The site is very exposed and so the building form mimics the surrounding windblown manuka trees and weathered cliffs. 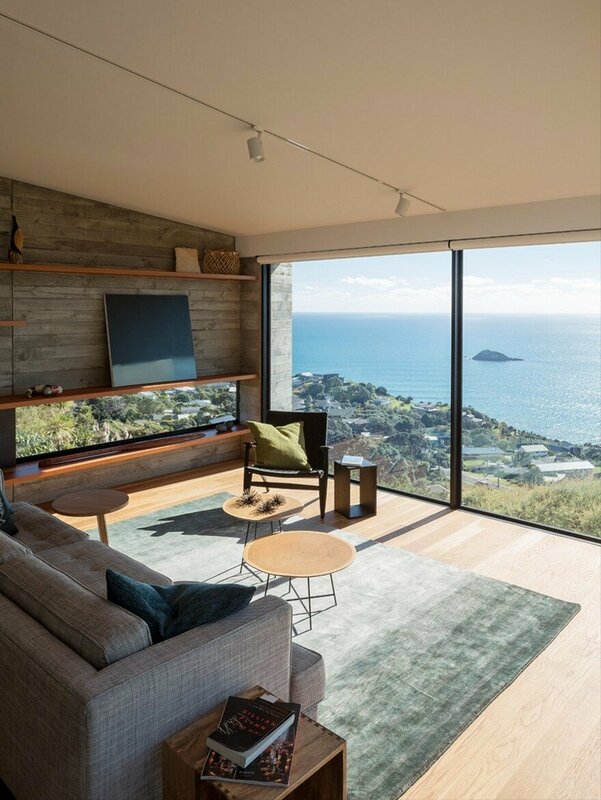 The living areas present a glass face to the ocean, anchored by a massive in situ wall bracing against fierce southerly storms. 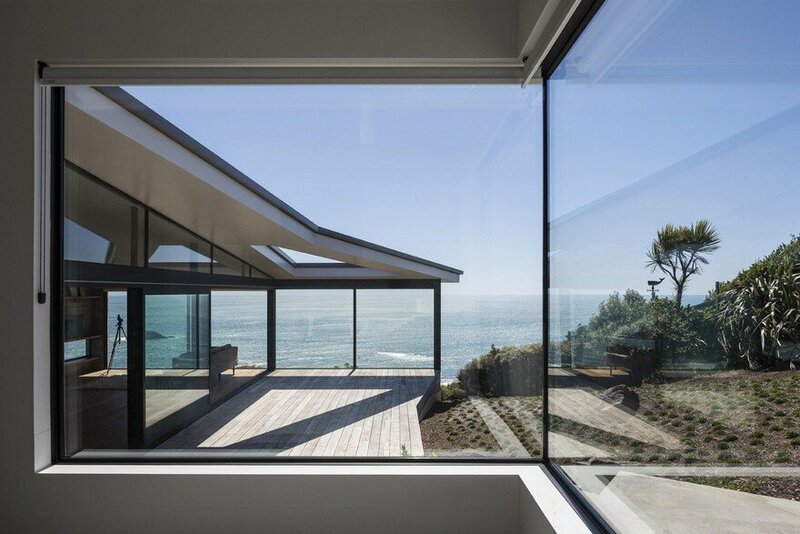 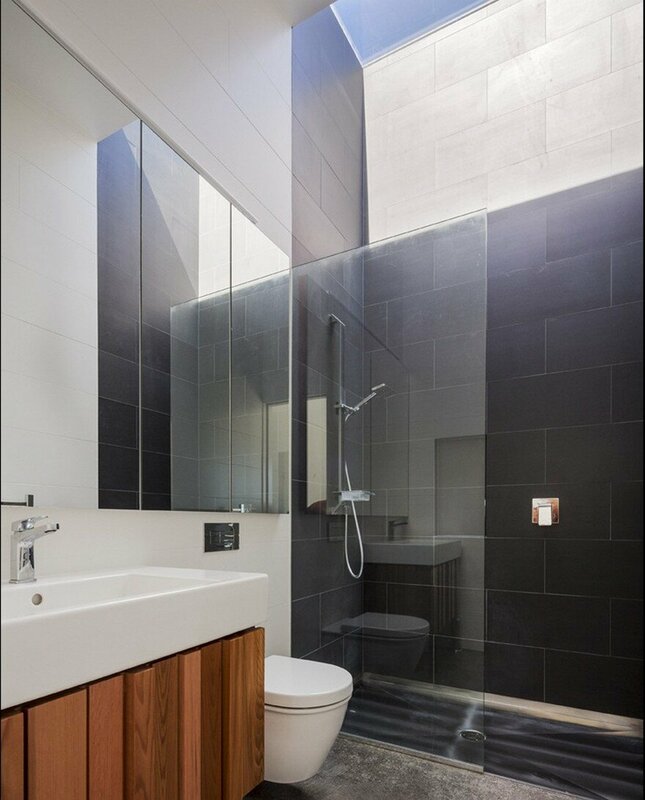 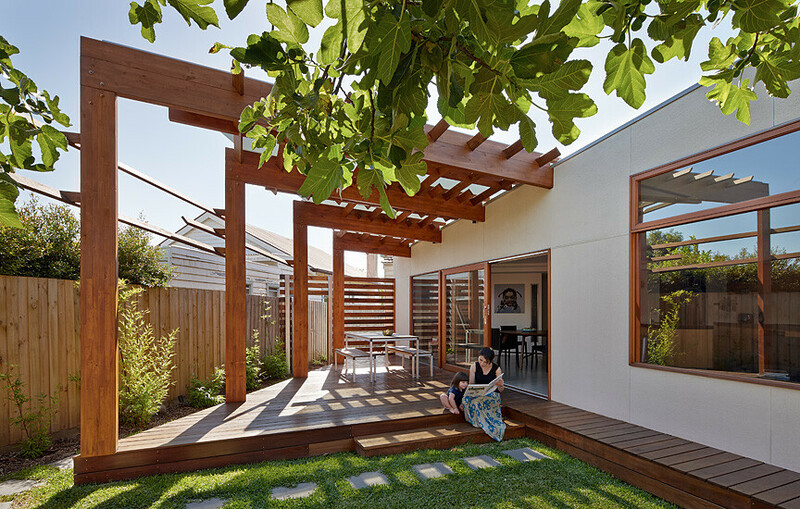 The northern glass wall opens seamlessly to a sheltered exterior deck. 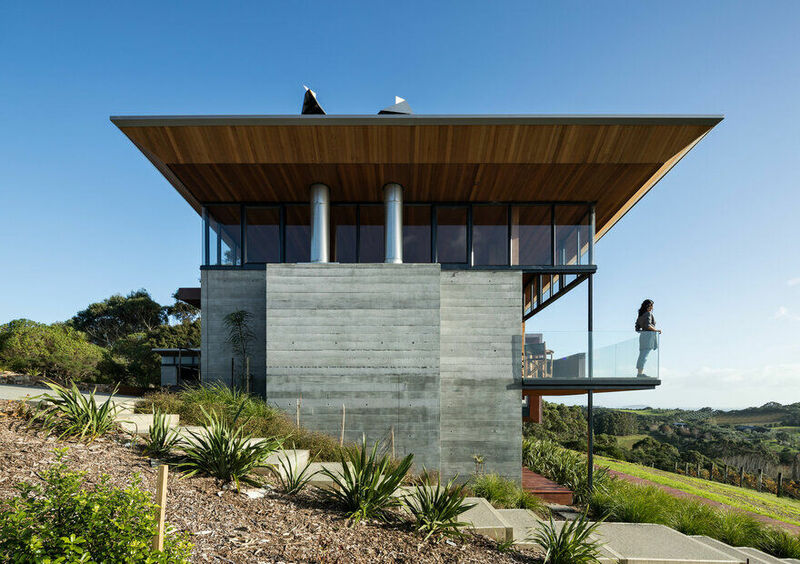 Bedrooms are set away from the edge and hug into the hillside, stepping up and away capturing views from each room and giving a sense of separate cabins. 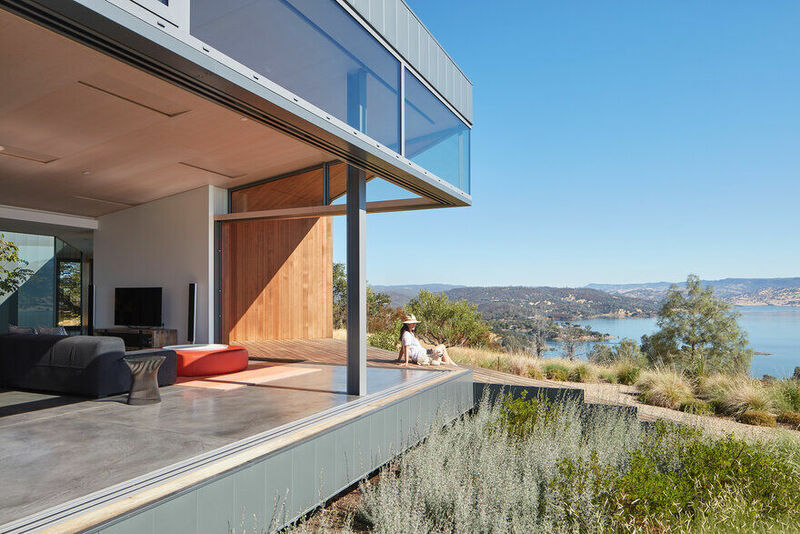 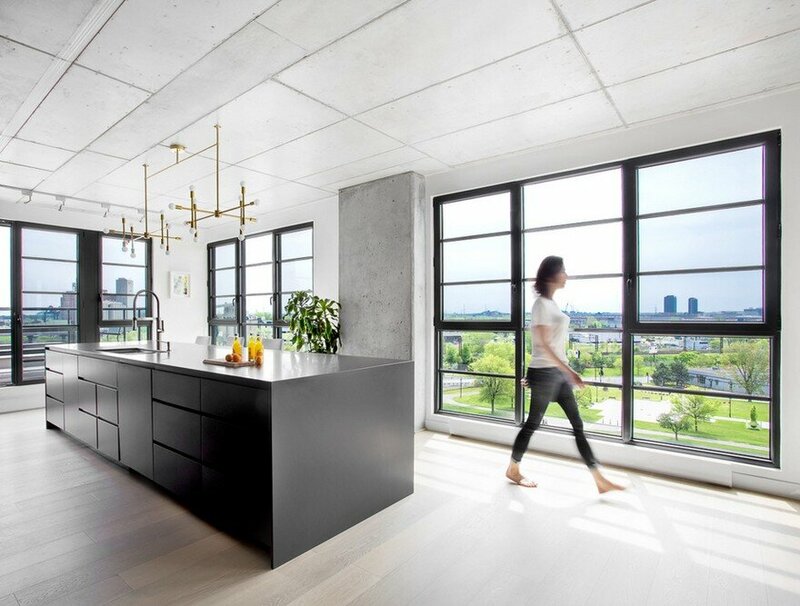 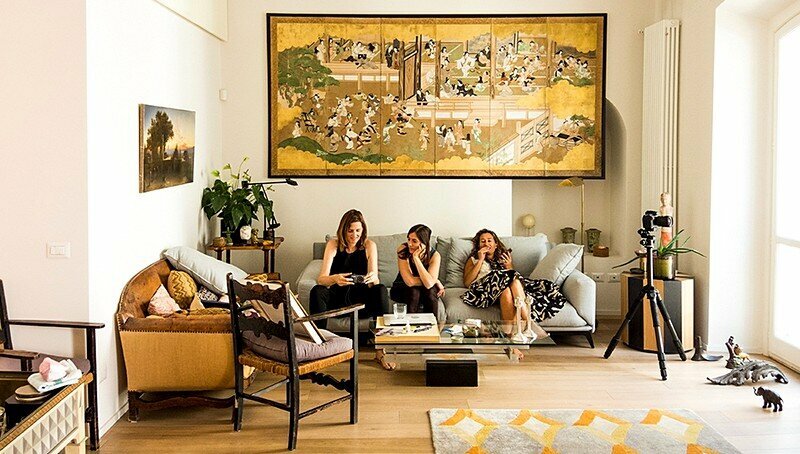 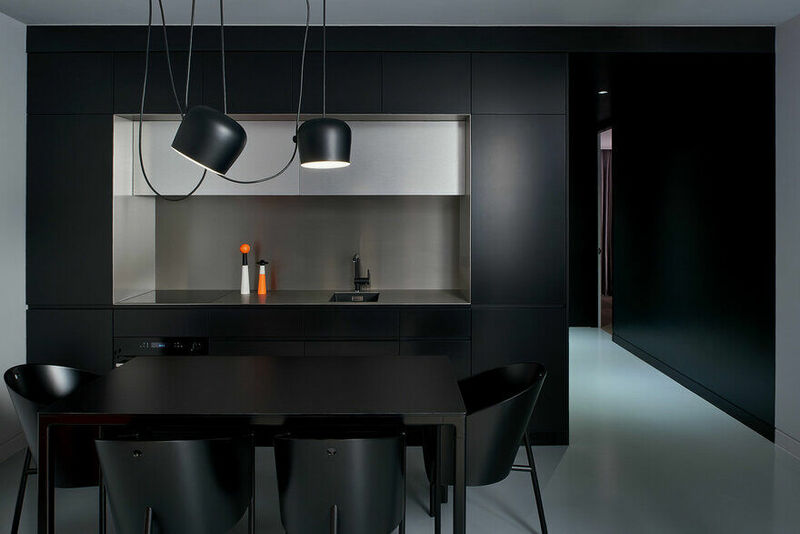 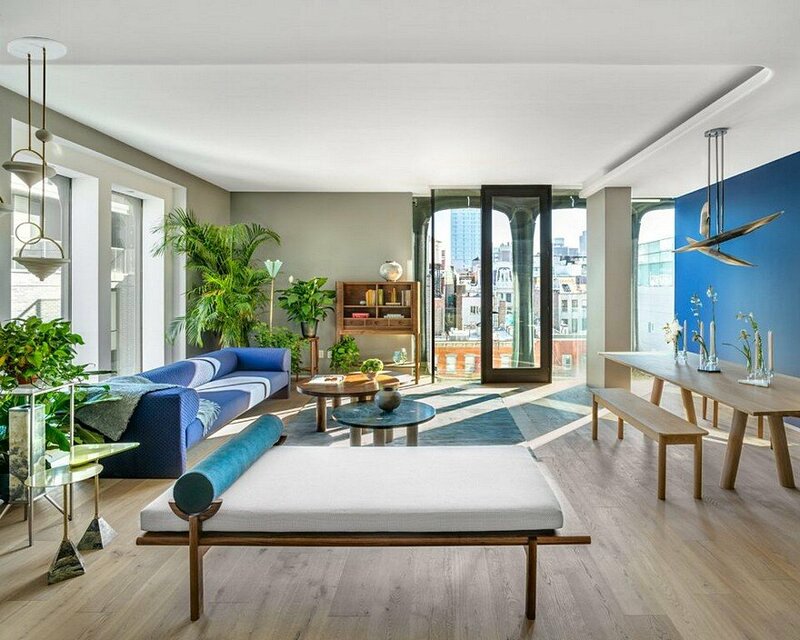 The compact house provides an array of spatial experiences, from precipitousness at the edge to envelopment at the rear, with corresponding undulations in volume.